Streetwear fashion game is becoming a popular trend in the fashion industry nowadays especially for the youth. From graphic tees, sweatshirts to edgy accessories, the TNT Clothing definitely provides you the fashionable yet effortless look to pull off. TNT Clothing has successfully become one of the top favourite streetwear brands which have their own unique concept. ZALORA got the chance to get an exclusive interview to learn more about this fantastic brand! Read it down below. 1. Every fashion brand has its own unique story. So share with us how the name TNT was created in the first place. TNT is the initial of Trinni-T and it is also how the brand initially named. The reason of using the name was because the brand started with three people, and we see the brand is a combination of 3 different forces. Later on we have re-branded the label to TNTCO because throughout our 5 years journey we have more talented and trusted individuals joining us and we think that it’s not a 3 men game anymore, but instead, it’s a matter of teamwork from everyone. We didn’t want the brand to be too centralized on three of us anymore, hence the name change. 2. What sets TNT Clothing brand different from other streetwear brands in the fashion industry? In our products, we don’t focus too much on promoting our logo. Almost every piece of products we have made have its own message/ meaning. They’re mostly inspired by our daily life or message that we would like to tell our audience. 3. Describe TNT Clothing in three simple words. 4. How does the brand find inspiration in bringing the latest designs for its customers? As said in question two, our inspirations come from the daily life of our designers. For instance, sometimes our design team realise some phenomenon in our society and they would like to voice out through the designs. It’s almost like making a meme, but in a different kind of form. 5. Did you anticipate that TNT Clothing will be as successful as today? We would say that it’s a 50/50. We did what we need to do and always being optimistic about the growth our brand, but sometimes things don’t really happen as we wish and that disappoint us. But the good thing is we were able to overcome whatever trying to bring us down, and sometimes the success is a little surprise. 6. Name one signature TNT Clothing piece from any collection which was a best-seller. The First version of the Marble Tee is the best-selling item from us so far. Not saying that we have sold a lot of them but it’s the fastest selling item. The second release of the Marble Tee was sold out in one day. 7. How does TNT Clothing market their latest products to customers? Other than the typical marketing strategies that have to be done, we are also always interacting with our audiences. We kept doing contests/ campaigns on our social media for our audiences to participate, to make them feel that they are part of us. 8. What is the brand’s competitive advantage and why it can’t be copied? We are always looking for new possibilities on producing our products. New fabrics, new printing methods, or any new elements. Not saying that it could not be copied, but by the time when someone has copied it, we are already doing something else new. 9. What made you decide to widen your horizon by introducing your brand in ZALORA? Good stuffs are meant to be known by more people. 10. What can we expect from TNT Clothing in the future? In this new fresh year of 2018, we will introduce more different collaborations with different parties, and there will be a lot of surprises. Do stay tuned with us. 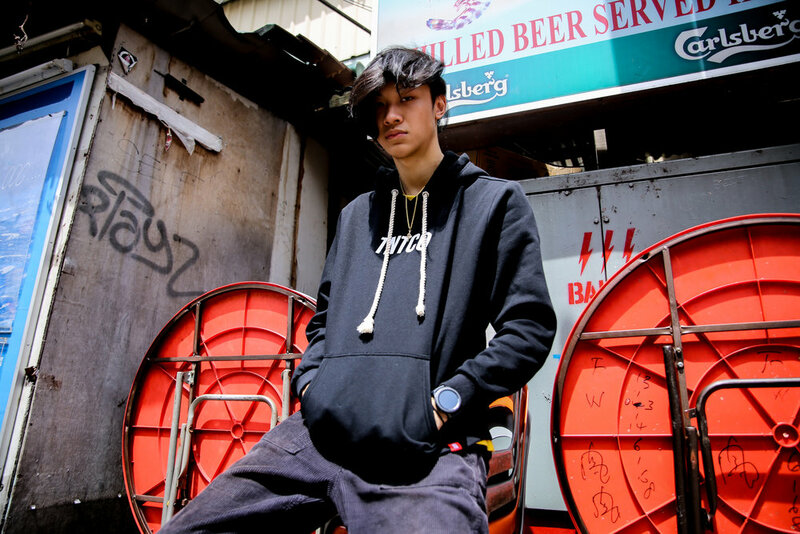 TNT Clothing streetwear fashion is now made available right here at ZALORA. Older PostMother's Day Issue: What Type of Mom Are You?